Free Hero Rotation (February 7): Try Phinn, Joule, Koshka & More! Celebrate World Poetry Day with Vainglory’s Poetry Contest! 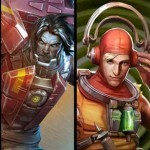 Each week six heroes are temporarily unlocked for play in Casual and Private games. If you enjoy playing these heroes and want to unlock them permanently, each hero in this week’s rotation will be available at a 10% ICE discount. Try any of the heroes listed below before unlocking them with Glory or ICE! Ardan is a damage-soaking protector who dramatically changes the landscape of teamfights. Able to rescue friends from certain death and turn lost battles around with his powerful terrain-changing ultimate, Ardan brings immense utility to the team. Start Ardan in either the lane or jungle, depending on which ally you want to protect most. Alpha hunts and terminates her targets with ruthless precision. No longer bound to the rules of mortality, she engages in battle without fear or caution. Alpha performs well in the jungle and can take down her targets built either weapon or crystal. Rona is a deadly berserker who is always ready to leap into battle. She holds her own in melee combat, unleashing enormous damage on everyone who stands and fights. Rona is best played in the jungle, pairs well with protectors and works well with both weapon and crystal builds. 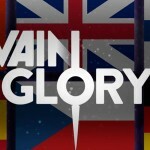 Update 1.1.3: Europe Joins the Fold!